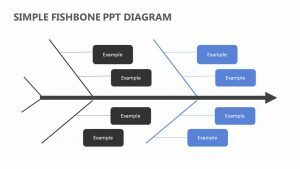 The 4S’s Fishbone Diagram is a diagram that is intended to help you determine any service problems you may have within the company. 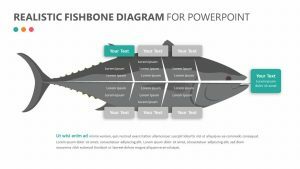 The 4S’s Fishbone Diagram is a set of five fully editable PowerPoint slides. 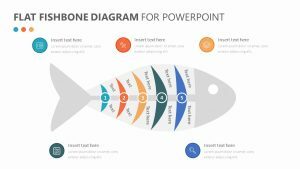 On the slides, there is an image of a fish drawn in a minimalistic way. The different parts of the fish are labeled so that you can break down the root of different problems with ease. 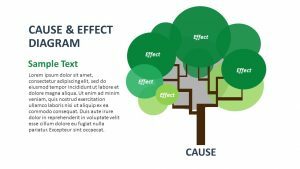 Each section is has its own color associated with it that can be edited. Systems, surroundings, skills and suppliers are the main sections.